Walter Mischel led the way in reconceptualizing the nature of the consistency and variability in social behavior that distinctively characterizes an individual across situations and over time. Beginning with his 1968 monograph, Personality and Assessment, he challenged the most basic assumptions of classic trait theory about the consistency of personality, creating a paradigm crisis which his work ultimately resolved. Mischel proposed that the field was searching for consistency in the wrong places: it was looking for the “personality as it is,” apart from situations, treating situations as the noise or “error of measurement” that needed to be stripped out. In his theorizing and research over more than forty years, he reversed the standard view and practice. By including, rather than removing, the situation as it is perceived and understood by the person, he predicted, and ultimately demonstrated, that stable patterns of if…then…situation-behavior regularities characterize individuals distinctively over time. To understand the intrapersonal and interpersonal processes underlying such regularities, in 1973 he proposed a cognitive-social reconceptualization of personality structure, dynamics, and the role of the psychological situation. After extensive empirical investigation of how the individual’s behavior is expressed in diverse situations over time, it was extended, formalized, and tested as the CAPS model (e.g., Mischel & Shoda, 1995), enabling the prediction and analysis of person-situation interactions with increasing depth and precision. In this side of his work Mischel, in collaboration with Yuichi Shoda, clarified the crucial role of the psychological situation in the expression of individual differences, but in its other side he concurrently identified how individuals might overcome the power of compelling situations and “stimulus control” with self-control. In experimental studies with young children Mischel discovered key attention control and cognitive re-appraisal mechanisms that underlie the ability to delay gratification in the face of “hot” temptations. In longitudinal studies over 4 decades, Mischel, working closely with his many students and colleagues, also found that the ability of very young children to delay immediate gratification for delayed larger rewards in his laboratory situations (the “marshmallow test”) predicts important long-term outcomes over the life course. These range from more adaptive social and cognitive functioning in adolescence and much higher SAT scores, to protectively buffering individuals against the development of diverse dispositional vulnerabilities in adulthood. Collectively, both sides of Mischel’s contributions continue to have significant implications not only for the field of personality and the allied areas of clinical, social and developmental psychology, but also for cognitive anthropology, behavioral economics, sociology, behavioral medicine, philosophy, education, social policy, and law. 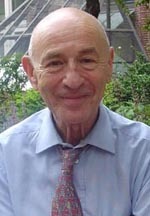 Walter Mischel was born in Vienna in 1930 but when the Nazis took over Austria in 1938 emigrated with his family to the U.S., settling when he was ten years old in Brooklyn, NY. He received his B.A. from New York University (1956), an M.A. in clinical psychology from the College of the City of New York, his PhD in clinical psychology from Ohio State in 1956, where he was also awarded its honorary doctorate in 1997. He taught briefly at the University of Colorado in Boulder (1955-1956), and the Harvard Department of Social Relations, (1958-1962), moving to the psychology faculty of Stanford University (1962-1983), and then to Columbia University. He served as chair for 2 years at Stanford, and for 4 years at Columbia. His students and colleagues honored him in a 2007 festschrift, Persons in Context, Building a science of the individual. Mischel mentored many generations of graduate students many of whom became leaders and distinguished scientists in their own careers, and he influenced countless undergraduates, both as a passionate, inspiring teacher and with his Introduction to Personality textbook, now in its 8th edition. Mischel is a member of the National Academy of Sciences and of the American Academy of Arts and Sciences, and is a fellow of the Society of Experimental Psychologists and of the Society of Experimental Social Psychologists. He has served as the elected president of the Association for Psychological Sciences, the American Psychological Association’s Division of Social and Personality Psychology, and the Association for Research in Personality. Mischel’s honors include the Distinguished Scientific Contribution Award from the American Psychological Association (APA), the Distinguished Scientist Award of the Society of Experimental Social Psychologists, the Distinguished Contributions to Personality Award of the Society of Personality and Social Psychology, the Jack Block Award for Distinguished Contributions to Personality Psychology, and the Distinguished Scientist Award of the APA Division of Clinical Psychology. He is past editor of Psychological Review, and has served on numerous publication boards and editorial-advisory roles. His research has been continuously supported for more than 40 years by the NIMH, in the last 20 years by two consecutive 10-year MERIT awards. * The FABBS Foundation would like to thank Dr. Susan T. Fiske and Dr. Yuichi Shoda for nominating Dr. Mischel for this honor and for leading the effort to spread the word about his nomination. Would you like to honor Dr. Mischel? It’s not too late to have your name added to the list of donors! You can make your donation to Dr. Mischel’s In Honor Of… campaign at anytime.